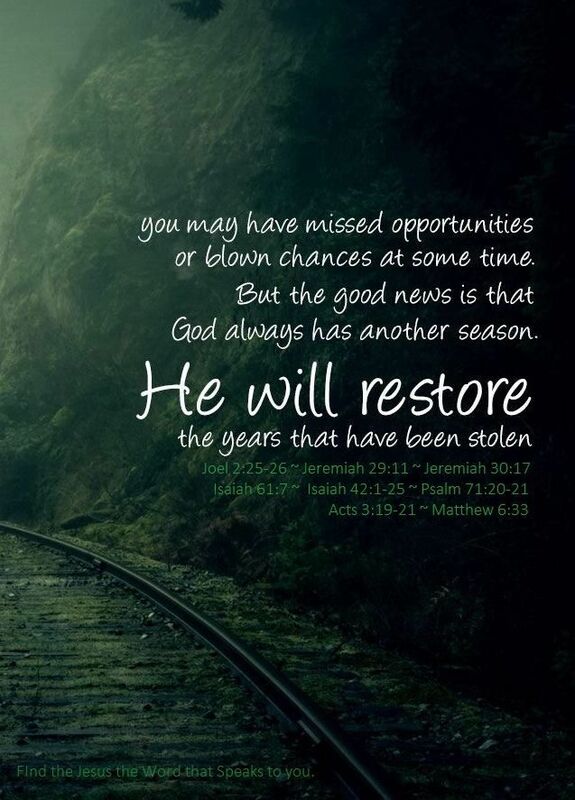 Restoring the years… | Blooming Joy! This morning I posted a link to this blog post, which I think sums up my struggle with how to seek out the ways that I’m being restored. But maybe it’s the whole point, that I am #blessed because God hears me. That the blessings flow out of the curses I’ve experienced in this life. I haven’t really been sure how to write my new version of #joydare, because making up my own hashtag #GodRestores doesn’t come with a nifty list of ways to count things that have been restored to me. But maybe the point is what can be found in Matthew 5:3-12. I will try to use these as ways to count the restoration God is doing in my life, asking Him to continue to guide my thoughts and actions along the way. Please pray for me during this journey, and watch for more posts on Facebook about it.